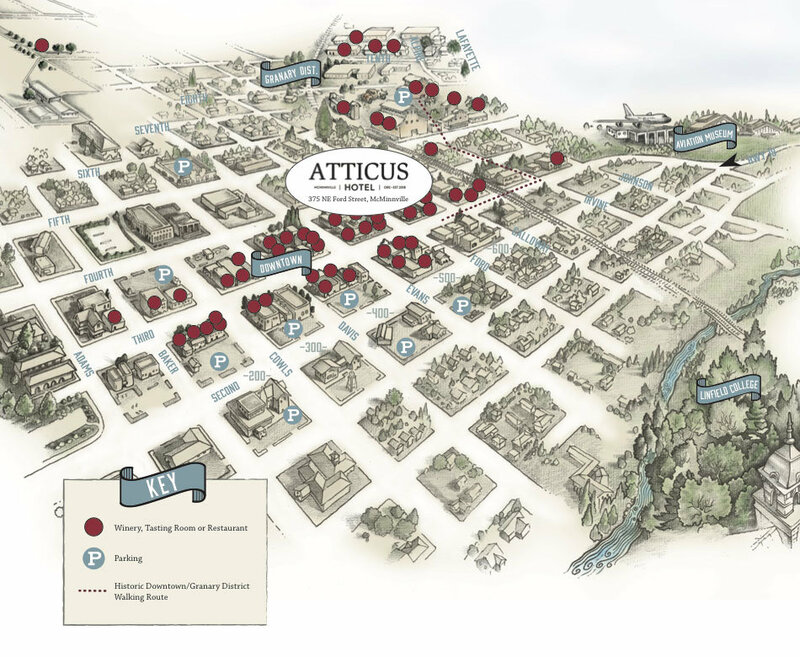 The Atticus Hotel offers two convenient downtown parking options: valet and self-parking. 24-hour notice is required for oversized vehicles, which may also be subject to increased parking rates. All street and lot parking are free. On-street parking: Two-hour spots (9:00 am to 6:00 pm) are adjacent to the hotel. After 6:00 pm parking in unrestricted until 9:00 am the following day. Parking lot: A free unrestricted parking lot is a block away. The City of McMinnville has provided a map of all free downtown parking locations.